Visiting a Dentist – How Important? Pete led a very healthy lifestyle. Taking morning walks, hitting the gym in the evening, having all the nutritious food he could lay his hands on, brushing and flossing his teeth two times a day with the best tooth paste and changing his tooth brush every two to three months. Two weeks back Pete noticed a lump in his throat and went for a medical examination. His Doctor after a series of tests diagnosed him with oral cancer. When Pete was asked when was the last time he had visited a dentist he could not remember because he was brushing and flossing regularly and never felt the need to visit a dentist. Apart from that Pete had been smoking regularly for almost 20 years and had quit smoking two years back which made Pete believe that he was excused from a regular check up with the dentist and this proved to be a blunder on Pete’s part. The oral cancer which would have proven to be fatal for Pete was still to spread and Doctors were able to control it but the treatment took a heavy toll on Pete’s health. He has been in the hospital for two weeks and will have to go in many times before getting rid of the problem. This is when the doctor treating Pete informed him of the special training Dentist’s receive which enables them to identify and diagnose oral cancer. Had Pete been regular with his dental appointments the time spent by him in the hospital would have been much less. The Oral cancer would have been detected and diagnosed at an early stage which of course would have saved Pete a lot of pain, time and money. Many of us especially those who brush and floss their teeth regularly and keep their dental hygiene in top order often ignore the importance of visiting a dentist at regular intervals. Visits to dentists are often postponed due to several reasons which may include time constraints or saving a few bucks. But this ignorance may sometimes prove to be quite a disaster just like Pete since we end up spending a lot of time in the hospital and spending a fortune on the hospital bills. 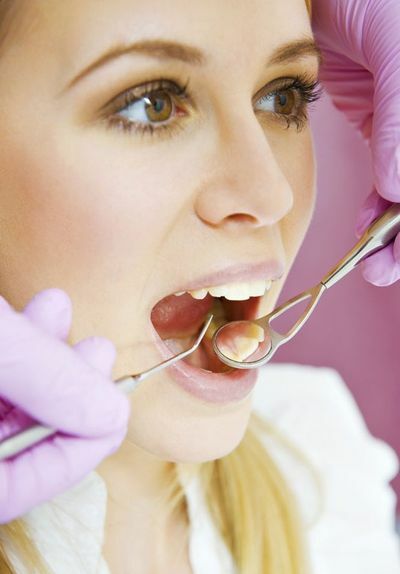 A study has suggested that irregular dental checkups can cause huge problems. Almost 31% adults in UK have tooth decay, 66% have visible tooth plaque and 29% of the population suffers from pain in the tooth and mouth. To maintain a good dental hygiene it is not only important to brush and floss your teeth it is equally important to visit a dentist every six months or according to the schedule fixed by your dentist. There are several reasons why a dental check up from a dentist is necessary. Oral cancer is a serious disease and can prove to be fatal if not detected at an early stage. An early stage oral cancer is treatable. Dentists are trained to recognize the signs and symptoms of oral cancer early provided you are regular in your visits to your dentist. A layman cannot detect the symptoms of oral cancer in its early stages however a dentist can do that since he is trained for that. The test for oral cancer is non invasive and does not require more than two or three minutes. It is totally painless. Your dentist will just look for dead tissues in your oral cavity with a special light in your mouth. Your regular visits to the dentist can save your life. Oral cavities can develop due to numerous reasons. Many areas in the mouth remain untouched while brushing and flossing which may develop cavities. Cavities do not come with any warning signs and may go unnoticed till they start paining. Getting the dentist have a look at your teeth and oral cavity every six months allows you to give him a chance to clean your teeth properly and have a look at areas that may have chances of developing cavities. Once the cavities are detected necessary treatment may be suggested by the dentist to avoid further damage to the teeth. Gums are connected to teeth and are at a risk of being eroded by the plaque and tartar buildup that keeps happening in the teeth. A gum infection loosens the teeth and acts as a pocket for bacteria to grow and thrive happily. Soreness, bleeding gums and swelling of the oral cavity may set in if you do not get your gums treated from your dentist at regular intervals. Regular visits to the dentist will help you avoid any unnecessary surgeries and treatments that you may have to undertake for gum related problems. A visit to the dentist gives you an opportunity to have a look at the actual health of your teeth. Looking at the teeth from the outside may seem fine however there are a few gum borne diseases that maybe weakening the roots of your teeth. There may be another tooth that requires removal which is growing on another tooth. In youngsters teeth may start appearing haphazardly because the roots are not arranged properly. All these problems can only be detected if your dentist conducts an X-ray of your oral cavity. Your dentist based on your dental history may choose to X-ray a part or the whole oral cavity during your routine visit. It is essential to visit your dentist at least once in every six months if you are not suffering from any pain, discomfort or any other issue related to the oral cavity. However if your dentist calls your early for a checkup do not ignore it since your natural teeth will not grow back again if lost once. Walter has been writer for Prodental Clinic London and he has been writing about various topics like healthcare and dental health. Walter is a consistent writer for Prodental Clinic London from the past couple of years. Prodental Clinic London is a Cosmetic dental clinic which provides dental services in London. They provide dental solutions like Dental implants, Invisalign teeth straightening, All-on-4 dentures and Damon braces.